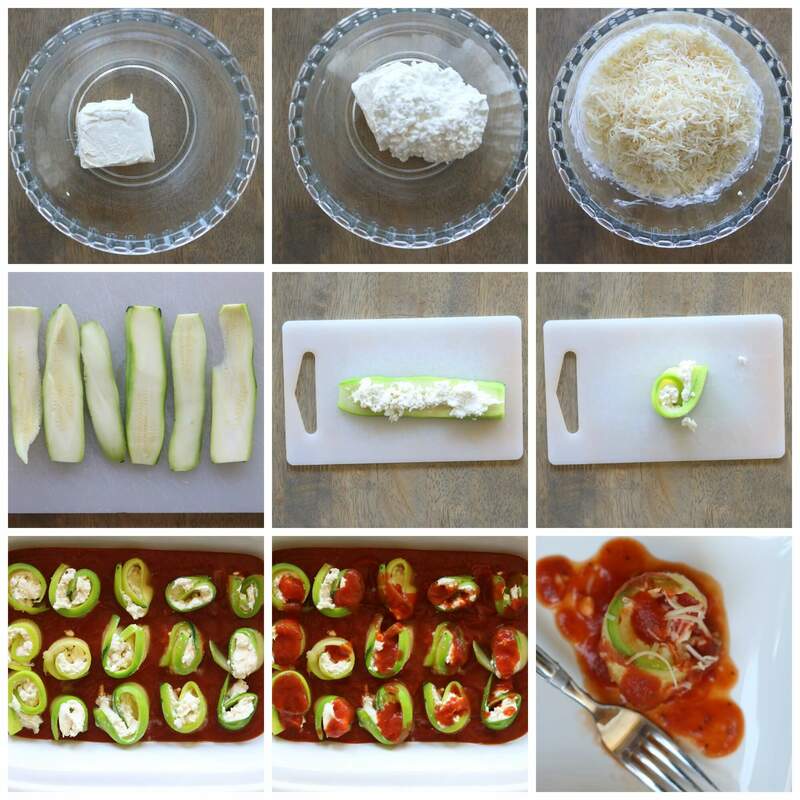 Just yesterday my sister-in-law, Ashley, showed me a recipe for zucchini lasagna roll-ups. I immediately knew that I had to try something similar in the slow cooker. I loved the idea of using strips of low calorie zucchini as the noodles. I am so pleased to tell you that it worked! And not only that, it is simply delicious. 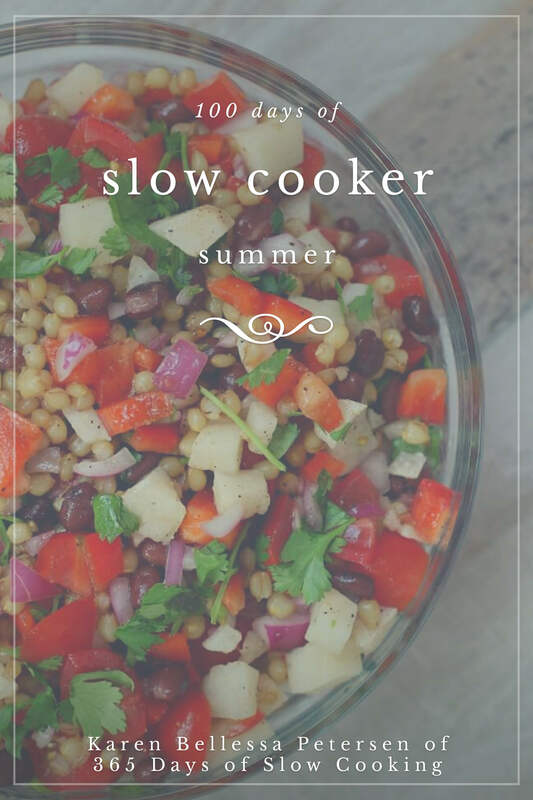 I know that you’re going to love this healthy, meatless, summer slow cooker meal. First you’ll start with some softened cream cheese and mix it up with cottage cheese (or ricotta) and mozzarella and parmesan cheese. I love this mixture and could eat it plan. In fact I did just a little bit. Then you’ll slice the zucchini into long thin strips. This part is a little tricky because the zucchini is circular so the edges are kind of hard to get just right. But just do your best. 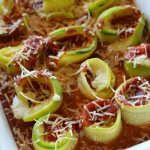 You’ll spread some of the cheese mixture over the zucchini strips and then roll them up and place them in a slow cooker or 9 x 13 pan that has some spaghetti sauce in the bottom. Cook on high for 2 hours or on low for 4 or in your oven for about 30 minutes. I’m opting not to turn on my oven today since it is literally 100 degrees at this moment. 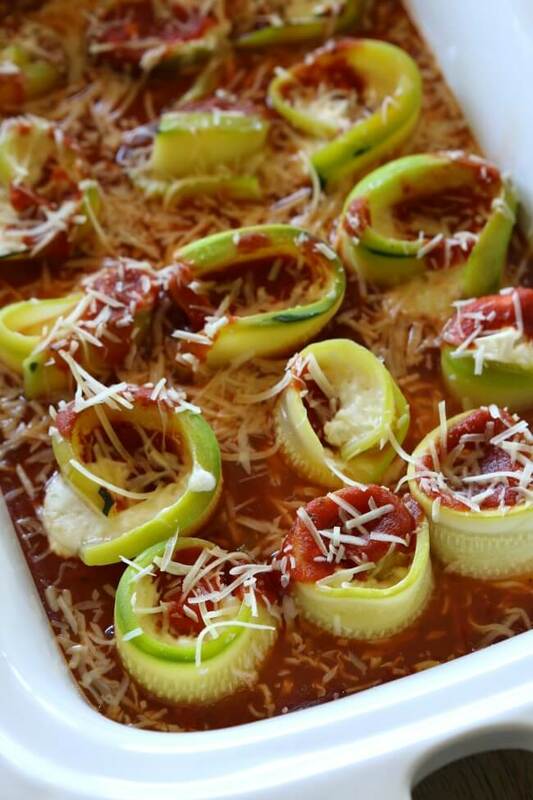 Thanks for the shout-out for Casserole Crock Saturdays! I can’t wait to feature this recipe; it sounds amazing. 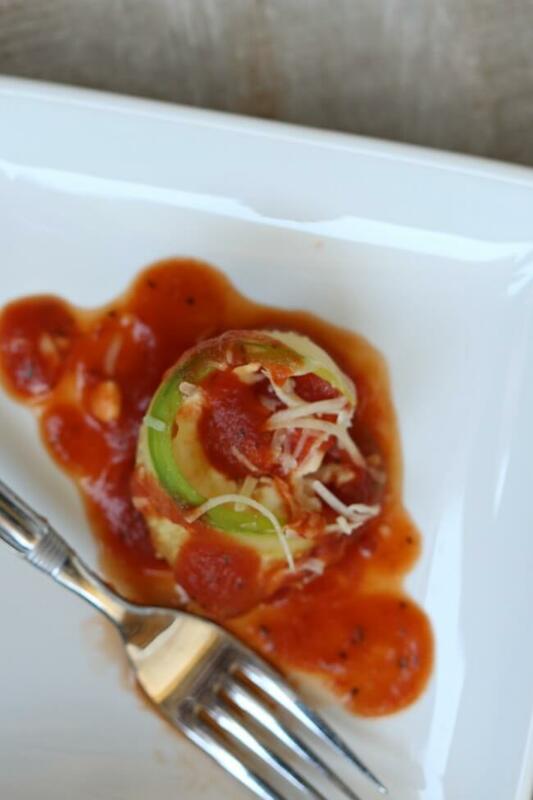 Like lightened-up lasagna (or the rolled noodle version – with a name I forget)! I love the idea of using the slow cooker for the zucchini noodles.